I’m not gonna lie, it’s been hot here in Portland the last several weeks. Like the kind of hot that breaks our air conditioner from overuse (true story, it happened last week. ugh!). I’m from Phoenix, AZ, so you’d think I know hot, but alas, since living in Oregon I’ve become a wimp. A total wimp! Anything under 40 degrees and I’m freezing my booty off. Anything over 93 and I’m melting. My idea of the perfect temperature is 81 degrees, with a slight breeze, while sitting in the shade, sipping on chilled Vinho Verde. If I’m in the direct sun I’d prefer it to be closer to 77/78 degrees. Yes, I’m that picky. When it comes to hot days I like to eat something light and fresh, ideally something that doesn’t require an oven or even grill for that matter (shh, don’t tell the hubby). 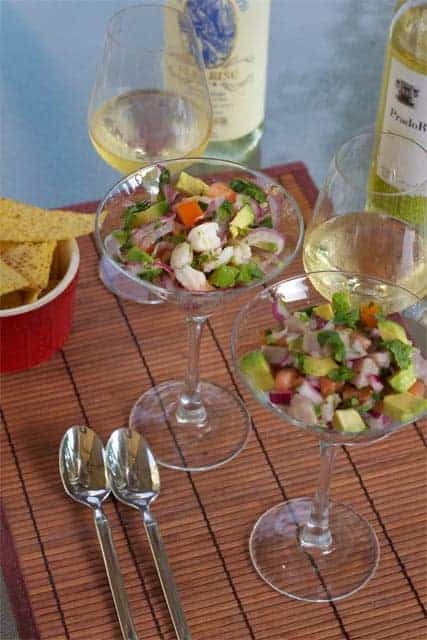 Wine4.Me just dusted off a summer favorite of mine — Shrimp Ceviche. It’s just what the meteorologist ordered for a hot summer day. And it’s the prefect pairing for one of my favorite summertime wines – Albariño. 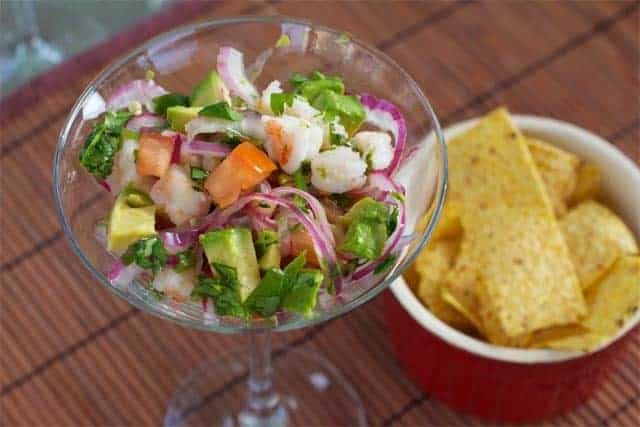 Find out what else pairs well with shrimp ceviche, along with the refreshing recipe – HERE. Alternatively, you can find an equally refreshing and super delicious Ahi Tuna Cevice on this here blog, right HERE.